Prices from £850 including VAT, Fitting and Mid Range Tyres! Check out the before and after pictures to see what a difference a new set of wheels could make to your van! 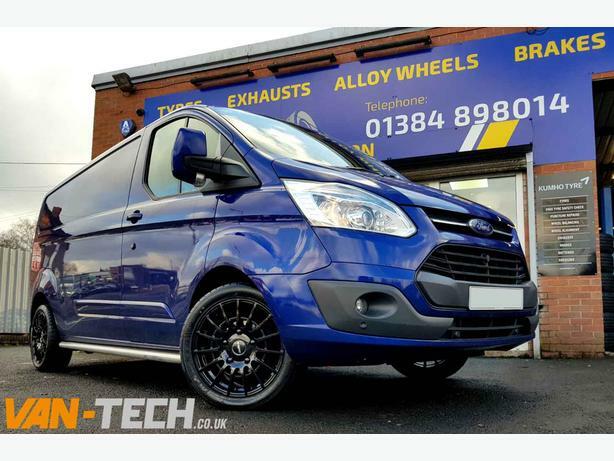 This multispoke design will give a sporty look to any van, be set to turn heads and grab attention, whilst being load rated and more than up to the test, this alloy wheel is destined for a range of commercial vans including Ford Transit Custom and VW Transporter.